Create your own cool designs and awesome pictures with the help of this fun drawing accessory. 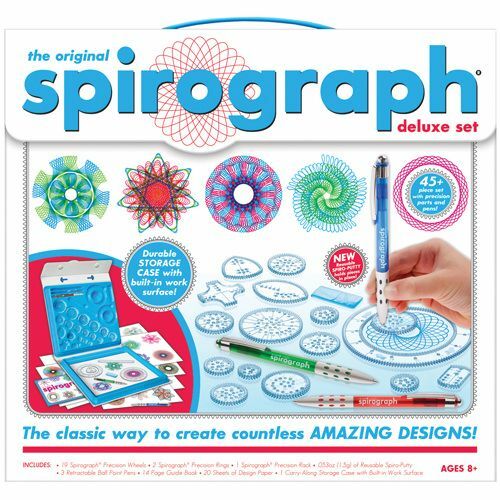 Yes, the classic Spirograph is back and better than ever! Features all the iconic wheels and rings of the original, re-engineered and updated for today. This Deluxe kit features a high quality, durable carrying case with snap-in storage and built-in drawing surface. Ages 8+.